In our latest post in the, CGC Projects in Focus series, we’re looking at one of Brisbane’s largest projects – the Brisbane Metro. As with all project in this series, the Brisbane Metro is of national and state significance and will generate countless job opportunities and boost the economy. Running between 2019 and 2023, construction of the Metro will revitalise bus travel throughout the city. 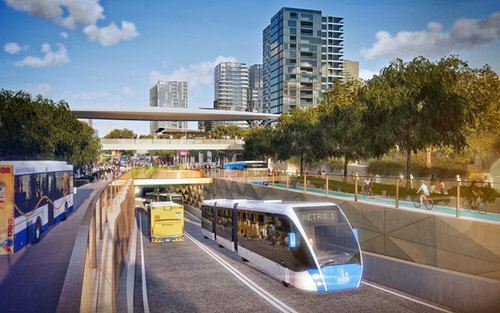 The new rapid transit system will offer residents and visitors a quick and efficient way to travel around Brisbane, while improving pedestrian safety in notorious accident black spots. The new $944 million Metro involves the construction of a 21km long ‘turn-up-and-go’ service with two lines, (1) from Eight Mile Plains to Roma Street and (2) from Royal Brisbane Women’s Hospital to the University of Queensland. During peaks the Metro will service the CBD every three minutes, transporting up to 22,000 passengers per hour. Brisbane Metro is the most significant infrastructure project being undertaken by Brisbane City Council. Its goal is to reduce travel times, congestion, and especially bus congestion in the CBD, whilst also offering more transport options in the suburbs, increasing connectivity and accessibility for residents. A new metro depot at Rochedale. 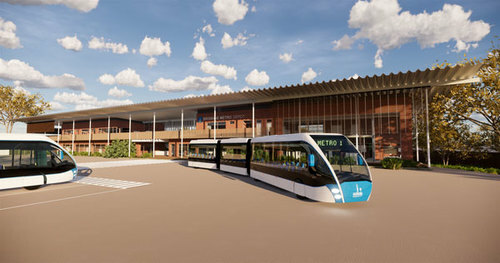 Fleet upgrades - The Metro project will add 60 new high-capacity bi-articulated vehicles to the existing fleet, which will have a capacity of 150 travellers. Each vehicle offers improved access, WiFi and facilities to charge phones and laptops. Customer experience – Systems will be improved thanks to new passenger management systems. Travellers will be able to easily access travel updates and live vehicle locations. Information displays will be clear and modern. To be involved in projects or to attract candidates that are changing and improving Australia’s infrastructure, just like the Brisbane Metro, connect with CGC today.